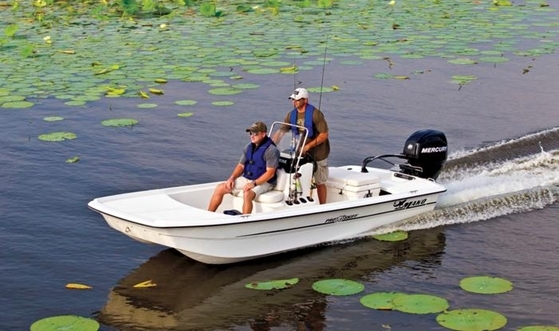 The Mako Pro Skiff 17, one of our Top 10 New Fishing Boats of 2012, will steal your heart - not your cash. 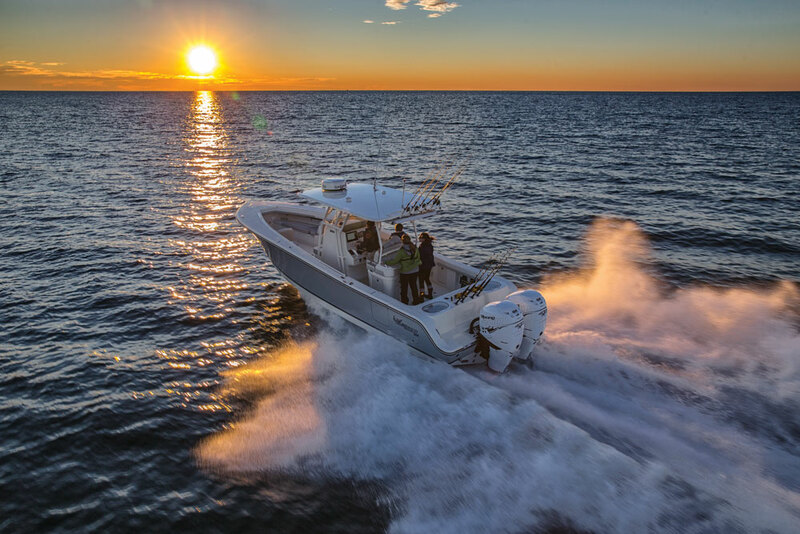 If you read my original review of the Mako Pro Skiff 17 (Mako Pro Skiff 17 Center Console: A Hull New Innovation) then you already know I’m a big fan of this boat. It’s cheap, it handles waves great for its size, it’s unusually stable, It’s inexpensive to run and maintain, it’s easy to trailer, and it’s cheap. 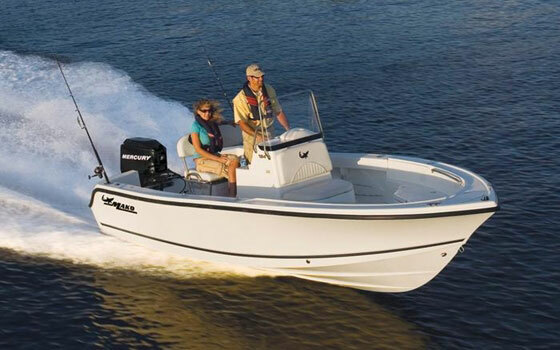 We even named it one of the Top 10 Fishing Boats of 2012. And, did I mention that it’s cheap? 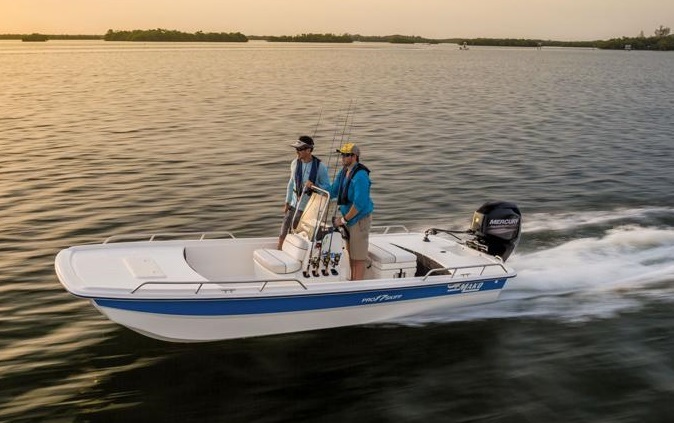 You can get into a brand-spankin’ new Mako Pro Skiff 17 for under $15,000—and that number includes a trailer and a 30-hp four-stroke outboard. 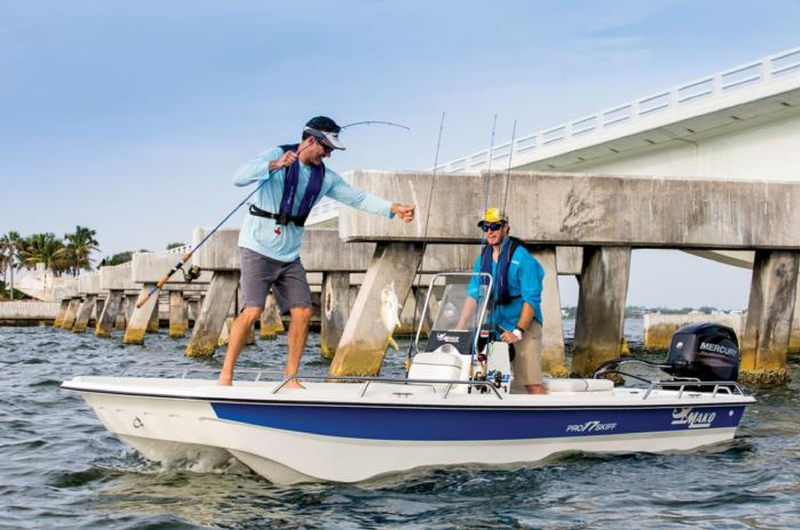 The Mako Pro Skiff 17. Yeah, I love it. Despite the low cost, the Pro Skiff 17 is built sturdy and when I sea-trialed it I didn't feel the low price tag was due to cost-cutting at all. Rather, it was due to simplicity. 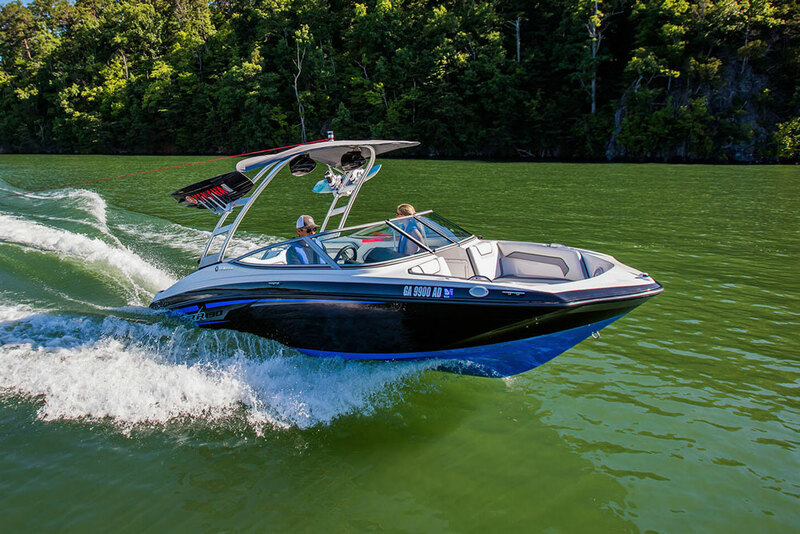 This boat is, in fact, a skiff—there’s a hull, a console (with a forward seat housing an eight gallon livewell), a cooler-seat, and aft and forward casting decks. That’s it. There’s no fancy leaning post, no stereo system, no extravagant teak-work, and thank goodness, no flat-screen TV. And this simplicity is quite the opposite of what we’ve been seeing from boats over the past decade or so. 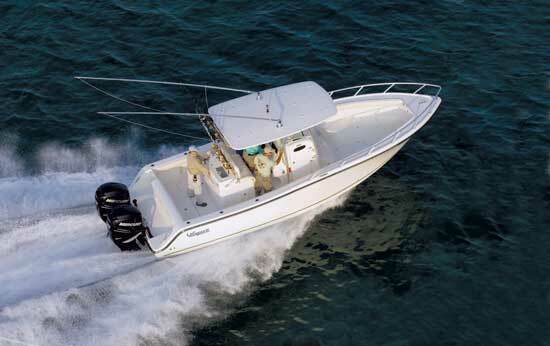 These days, it’s tough to find a boat that isn’t loaded down with goodies and gizmos that compound the boat’s cost. Plus, all of that extra stuff breaks. If I love the Pro Skiff 17 so much, have I bought one for myself? Nah. My fleet is complete for the time being. 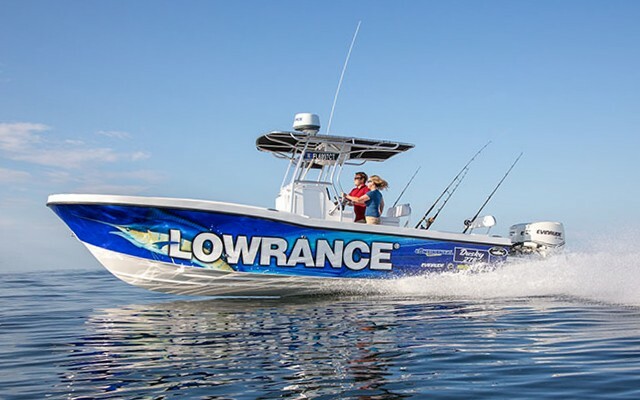 But if I were going to buy a new boat in the 16’ to 18’ range for inshore saltwater fishing, you can bet this one would be on my very, very short list. 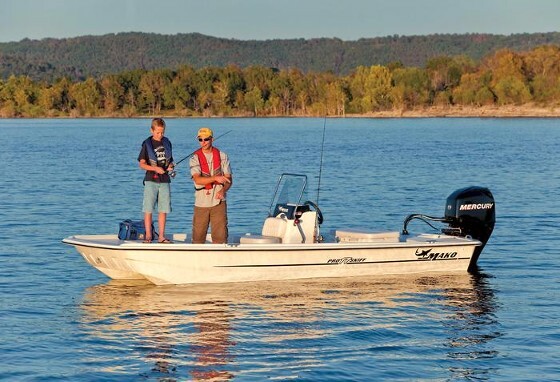 I’d get the 50-hp engine upgrade (which only adds $1,200 to the sticker price), because I ran two different Pro Skiffs, one with the 30 and one with the 50, and the 30 struggled a bit to get the boat on plane. And I might even spend another $175 to get the spare tire for the trailer (because trailering without a spare is just plain stupid). But all the other options, goodies, and gadgets? To heck with ‘em. 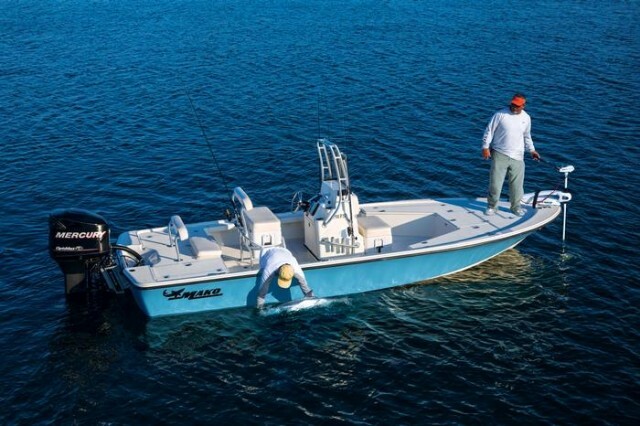 Because when it comes to a fishing skiff like the Mako Pro Skiff 17, simplicity is a beautiful thing. And it’s cheap.